1. The ATP methodology of investing does not chase stocks, and by using discipline and proprietary signals that nobody else offers, we offer significant value to our subscribers that can’t be delivered anywhere else by any other service. We prefer to buy into a waterfall, cascade corrections just prior to pivot lows in order to reduce our entry risk. We have our own methods of identifying those entries. 2. Subscribers (Partners) receive real-time recommendations with entry prices and potential upside targets, stop losses, and we adjust stops along the way. ATP also follows these positions on a regular basis via our “Position Scorecard” grid and our regular intra-week updates. We advise when to consider “Trimming” back on a profitable position, and when to hold or add to the position. We also will advise if we are closing out a position. We provide 2-3 new Trade or Position Alerts each week if we find stocks or ETF’s that meet our criteria for the Core Positions Active Portfolio and/or our Short Term Active Trades section. 3. ATP will give a price range which we believe is best suited for entry on each trade. Our Core positions are intended to be companies that have superior capital appreciation potential of 25% plus in 1-6 months. ATP simply wants to time your entry and price as best as we can, and actively follow the position to best extract gains out of managing that position. Again, we emphasize that our technical and fundamental analysis methodology is best at providing low-risk entry points, often just before major reversals in the stock or ETF to the upside. Active short term Trades and Core Position Alerts are alerted to our Partners in Real Time. We post all details Real-Time on the website with the research and fundamentals and very detailed charts including Video chart analysis with audio commentary. Our emphasis is more on getting the entry price and timing right so entry risk is minimized, and the downside is also minimal, or we will advise adding on downside volatility to extract maximum upside gains on rebounds. 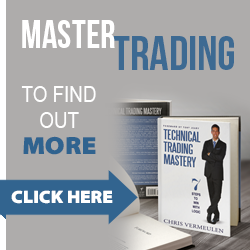 Members receive a complete guide on how to generate maximum profits per trade with our low-risk stock trades.